We are proud to announce that the Burbank Hill Community Association has selected Tinnelly Law Group as its corporate counsel. Located in the City of Burbank, Burbank Hill consists of 127 ultra luxury homes built by Lennar Homes of California, Inc. The homes are nestled in the hillside above Brace Canyon Park and enjoy stunning views of canyon and city scenery. 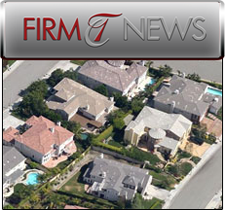 We look forward to working with Burbank Hill and to developing another lasting relationship with a HOA client.